Perhaps it's just a coincidence that much of Rosenman's work on Science Fiction movies was on sequels of Star Trek, Robocop and Planet of the Apes. Certainly the music was always original even if the setting wasn't, and Rosenman's music is certainly varied including a variety of other genres and musical styles. His earlier work seems rooted in the movie business's golden age with lush romantic scores and a touch of jazz, while later scores can range from very hip to modernistic. 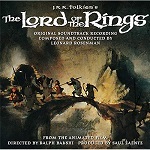 In the latter modernistic category it is worth noting that Rosenman studied under Arnold Schoenberg, and perhaps as a result of this Rosenman is often credited with introducing contemporary musical styles into the movie business including the use of 12-tone techniques. Though clearly a gifted composer, it is ironic that Rosenman won his two oscars for "adaptation" scores. In the case of Stanley Kubrick's "Barry Lyndon" Rosenman adapted classical music by Handel, Schubert and Mozart. Rosenman was born in Brooklyn, and studied atonal music at Berkeley before moving to Hollywood. 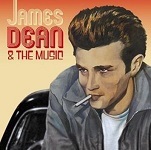 There he met and became friends with James Dean in the early 1950s, and the two even became roommates at one stage. It was Dean who suggested Rosenman compose the scores for two of his best known films - "East of Eden" and "Rebel Without a Cause". Here on Youtube is a rare video of Rosenman on piano playing his music from Rebel Without a Cause. 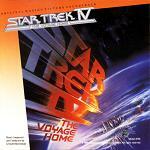 Star Trek 4: The Voyage Home - one of the most successful of the series, with a rousing feel-good theme for the end titles and additional music credited to "Leonard Rosenman and The Yellowjackets"
Rosenman wrote music for a lot of TV series throughout the 60s and 70s (on Western series and other genres) and continued scoring mostly TV Movies during the 80s and 90s. 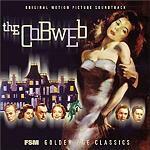 Other composers who wrote music for episodes of "The Twilight Zone" include Bernard Herrmann and Jerry Goldsmith. Amazing Stories - the episode "No Day at the Beach"